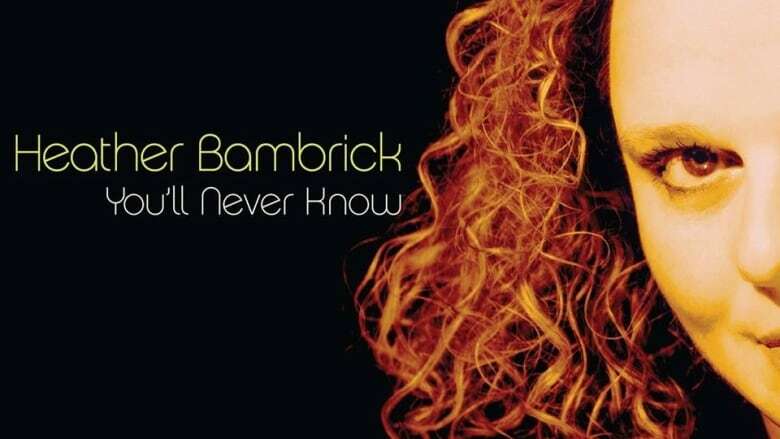 Heather Bambrick has built a successful career in Toronto as a jazz singer, broadcaster, teacher and voiceover artist, but her latest CD, You’ll Never Know, is all about her ties to this province. Heather Bambrick has built a successful career in Toronto as a jazz singer, broadcaster, teacher and voiceover artist, but her latest album, You'll Never Know, is all about her ties to this province. "There's a lot of Newfoundland on here," said Bambrick. "A lot of connection to home, a lot of connection to family." The title track was a favourite of Heather's aunt, who passed away in January. "She was a big fan of good singers, she was a big fan of Vera Lynn, 'My God, she had a good voice,'" recalled Bambrick. Her latest album includes an interpretation of the Newfoundland folk song, Petty Harbour Bait Skiff. Bambrick said another song, Far from the Home I Love, from the musical Fiddler on the Roof, is deeply personal for her. "It's the idea of being torn, like, I want to be home ... but I need to be here [in Toronto] doing what I'm doing," she said. Have a listen to Heather Bambrick's conversation with Weekend AM host Heather Barrett. Do you have a new album of music that Weekend AM should know about for First Listen? Email us wam@cbc.ca and tell us about it. You can hear First Listen Sundays on Weekend AM from 6 a.m. to 9 a.m. (5:30 a.m. to 8:30 a.m. in most of Labrador) on CBC Radio One.